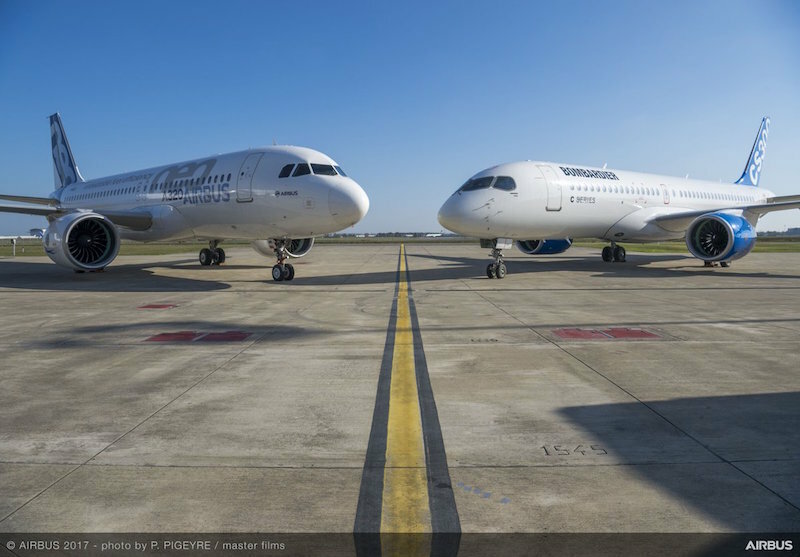 AMSTERDAM / MONTREAL --- Having received all required regulatory approvals, Airbus SE, Bombardier Inc. and Investissement Québec (IQ) have agreed to close the C Series transaction effective on July 1, 2018. Bombardier will fund the cash shortfalls of CSALP, if required, during the second half of 2018, up to a maximum of US$225 million; during 2019, up to a maximum of US$350 million; and up to a maximum aggregate amount of US$350 million over the following two years, in consideration for non-voting participating shares of CSALP with cumulative annual dividends of 2%. Any excess shortfall during such periods will be shared proportionately amongst CSALP’s Class A shareholders. Airbus will consolidate CSALP effective from July 1, 2018 onwards. Further financial information on the transaction will be provided later this year. With over 69,500 employees across four business segments, Bombardier is a global leader in the transportation industry, creating innovative and game-changing planes and trains. Headquartered in Montreal, Canada, Bombardier has production and engineering sites in 28 countries across the segments of Transportation, Business Aircraft, Commercial Aircraft and Aerostructures and Engineering Services. In the fiscal year ended December 31, 2017, Bombardier posted revenues of $16.2 billion US.